The Doe Dual Drive tractors (or Triple D tractors) were manufactured by Ernest Doe and Sons of Alting, Essex. 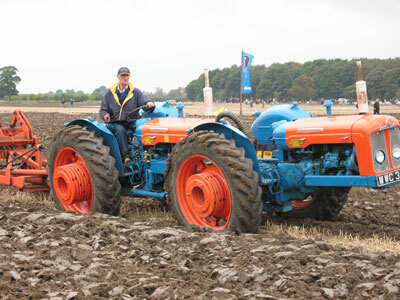 The Triple D was first invented by farmer George Pryor who wanted more power and traction from his tractors to increase output and productivity. Farmers found that crawler tractors were slow and difficult to move from field to field and 2 wheel drive tractors lacked both power and traction that was required by the rapidly enlarging farms of the 1950’s. The largest tractors available at the time were 2 wheel drive 50hp machines, so George experimented with linking 2 Fordson Majors together using a turntable that fastened the rear of the front tractor and the front of the rear tractor together. To start with the front unit still had its’ front wheels attached and there was a driver on each of the power units. By George’s own admission, the steering on the tractor was a rather crude system and the machine required 2 drivers, but this prototype proved that the system worked and provided unrivaled power and traction. George took his idea to Ernest Doe, who devised a system whereby both tractors could be controlled by one driver who sat on the rear tractor unit. The controls of the front tractor were operated by hydraulic slave cylinders which were operated by master cylinders on the rear tractor. 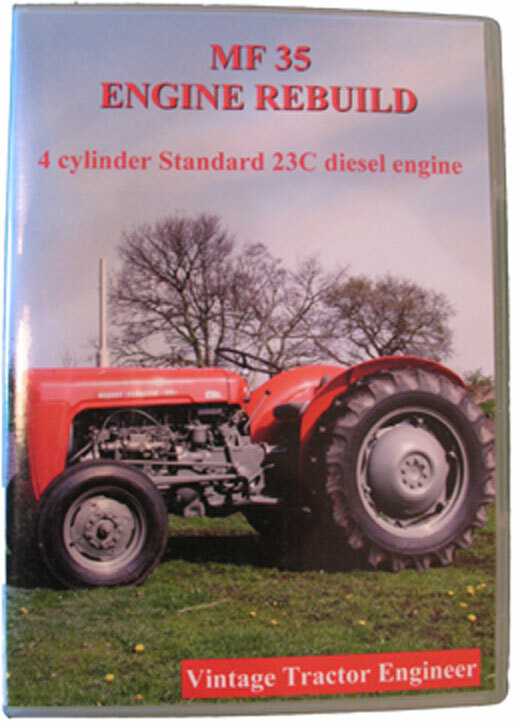 Production started in 1957 based on 2 Fordson Power Majors, and the tractor was called the Doe Dual Power. The Power Major units were soon replaced by the Super Major and the tractor was renamed the Doe Dual Drive, or ‘Triple D’. 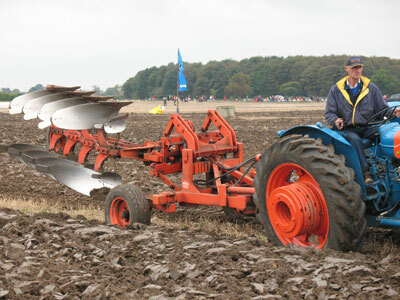 The Triple D could pull a 4 furrow plough, whereas the 40-50hp tractors could only pull 2 furrow ploughs on heavy land. The limitation of the rear Fordson tractor was the hydraulic linkage, so this was uprated with strengthened bottom lift arms, 2 assister rams and strengthened knuckle joints. Doe even had to manufacture a range of implements and a tool carrier linkage to match the power of the tractor. In 1963 the new performance Super Major gave an increase in power of the machine to 108hp. 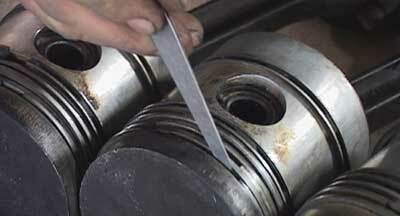 The last Tripe D’s were manufactured in 1964, and in total 289 wer built from 1958 to 1964. In 1964 the Fordson Major units were replaced by Ford 5000’s which gave the machine 130hp. At this point the tractor lost the Triple D name, and was simply called the Doe 130. 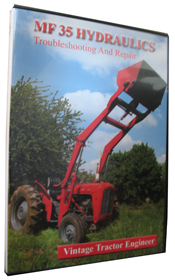 This tractor had a stronger subframe, turntable and uprated rear linkage. Later, Ford Force 5000’s gave the tractor 150hp (Doe 150) and then Ford 7000’s were used to give 188hp (unoficially called the Doe 180). By this time manufacturers such as County, Roadless and Muir Hill were producing high horse power 4wd tractors with only a single engine and gear box, which meant that the Doe tractors became comparatively expensive and production ceased. The Doe Triple D caused a huge stir when it was first seen by farmers back in the late fifties and this amazing machine still turns heads and also demands high prices at auction. hi i am wanting to make a turn table for a doe. so i am wanting to know if anyone has the measurements for both the rams and the turnable. or any tips or advice if you have make one yourself. Hi all iam looking for the measurments for most of all the parts to make up the parts for the ddd tractor,I have the tractors in the garage but require the dimentions so if any body can help i would be greatful. What I meant to say was a standard Ford tractor with no front wheels and a bush hog. Does anyone recall something that looked like a Doe but with just the front half? I could swear that when I was a kid I can recall the prisoners in the county I grew up in mowing the side of the road with what appeared to be a standard ford tractor with a very large(heavy) bush hog on the back.I assume it would have been steered through independent braking. I couldnt have been more than 5 at the time. Maybe I was mistaken? Did any such thing exist? Does anyone have measurements on making the turntable and the siderails for the doe triple d? me and my son david have just finished building a doe ddd from two early ddn majors. we have simplyfied the steering by using two rams instead of four and used an orbitrol steering valve. we just want a big plough now to put it to work.